Billy Russell's career as a narcotics officer abruptly ends when he cold-bloodedly executes the man who committed a heinous crime against him. Sentenced to 20 years hard labor in total isolation from the outside world, he's suddenly, and without explanation, released on parole five years early. Returning to society, he learns that an isolated nuclear attack spread primal fear of a nuclear holocaust, allowing autocratic billionaires to seize control of the world. But their faulty economic policies have caused rampant poverty, crime, disease, and drug addiction. As a condition of his parole, Billy is assigned to government drug enforcement unit in Boston but soon makes a gruesome discovery of the unit's true mission. 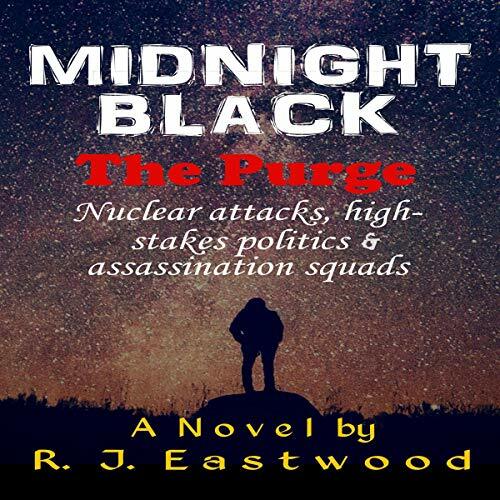 Approached by a secret underground dissident group planning to overthrow the authoritarian world government, Billy joins them to end the demonic reign of tyranny, only to discover the shocking details of what is really taking place. Midnight Black is a fast-paced, action-packed thriller/suspense novel in the tradition of author Lee Child. ©2018 Media Entertainment, Inc. (P)2019 Media Entertainment, Inc.